MyPriceLink has modernized the way OE list price is delivered to the collision industry. 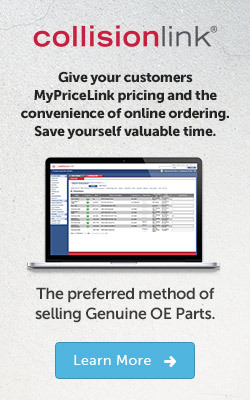 This revolutionary technology allows MyPriceLink OEMs to deliver suggested list price on genuine OEM parts in real time and paves the way for other OEMs in the future to do the same. As the first OEM to adopt MyPriceLink, GM worked with industry stakeholders to provide a solution that allows for estimates to be created seamlessly, with no disruption to the users’ workflow. This technology was vetted out through a successful pilot with AudaExplore, Mitchell and CCC Information Services. Estimating systems integrated with the MyPriceLink engine are giving their customers access to MyPriceLink suggested list prices via a Collision Estimating System (CES) Application Program Interface (API). 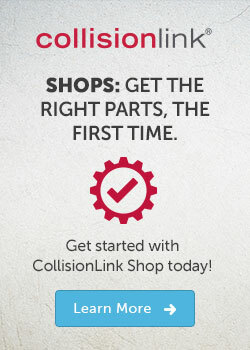 In addition to seamless collision estimating integration, CollisionLink Shop and CollisionLink Insurance are available, (at no cost to shops, fleets, independent adjusters, and insurance professionals), to obtain suggested list prices for genuine OEM parts. These tools are designed to provide alternate methods of getting an OEM suggested list price. Visit our news page to see the latest updates on MyPriceLink.